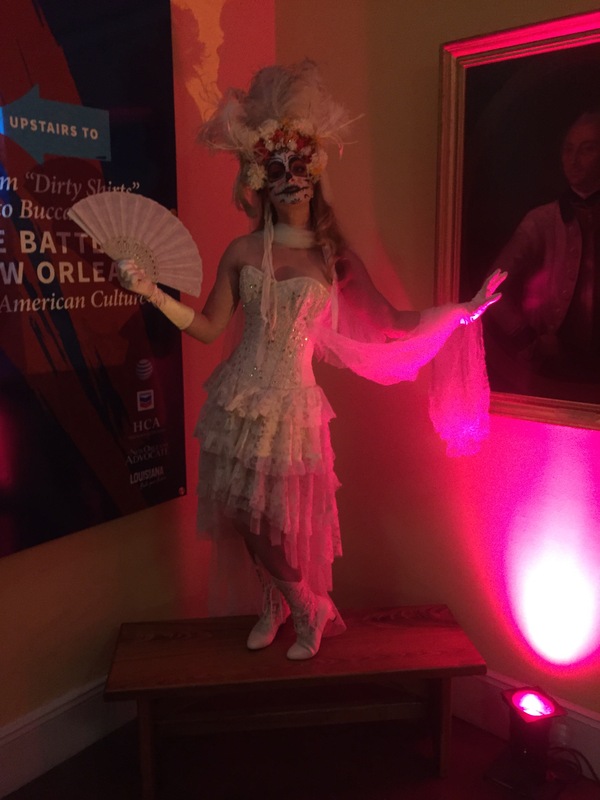 We’re thrilled to debut our new smart LED costume collection. 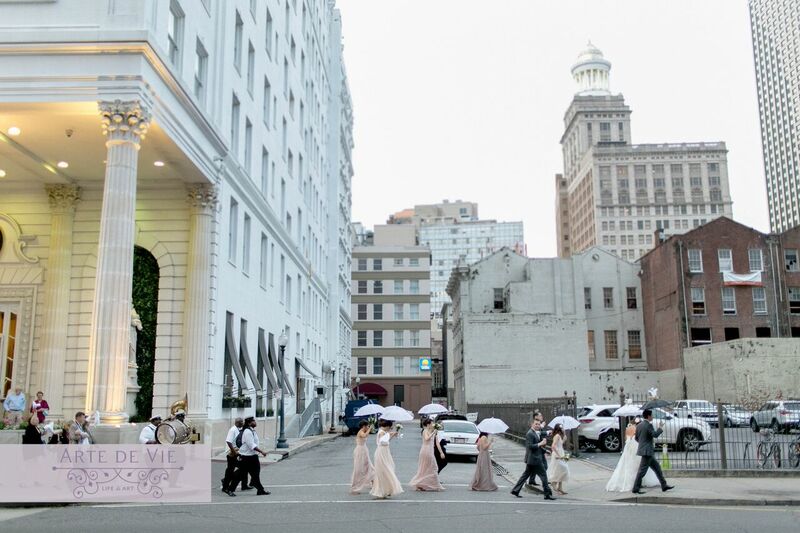 The lights are programmable, and shine bright even in the daytime. 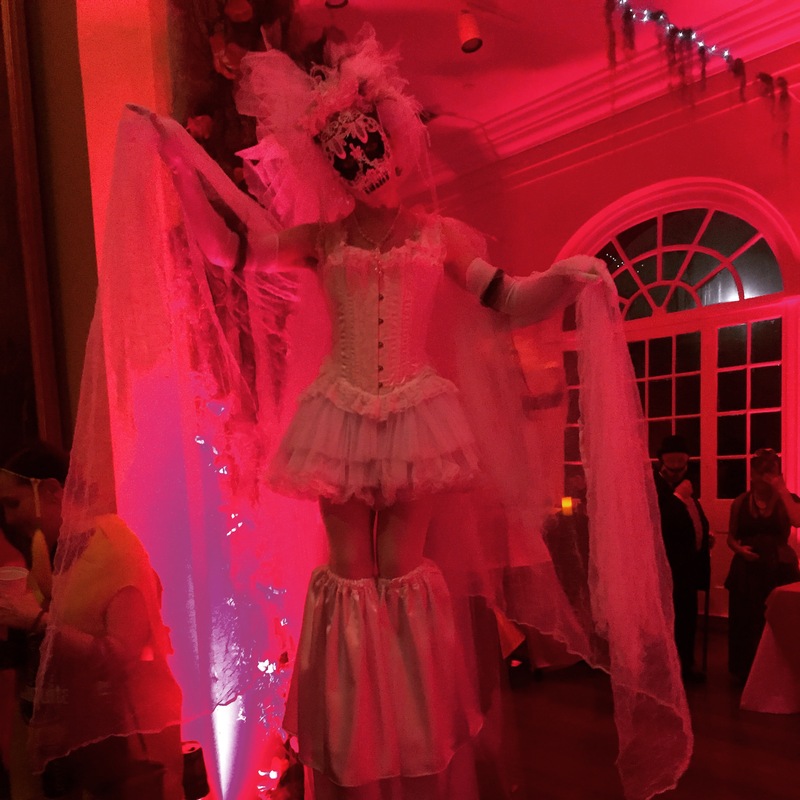 Let’s get lit! 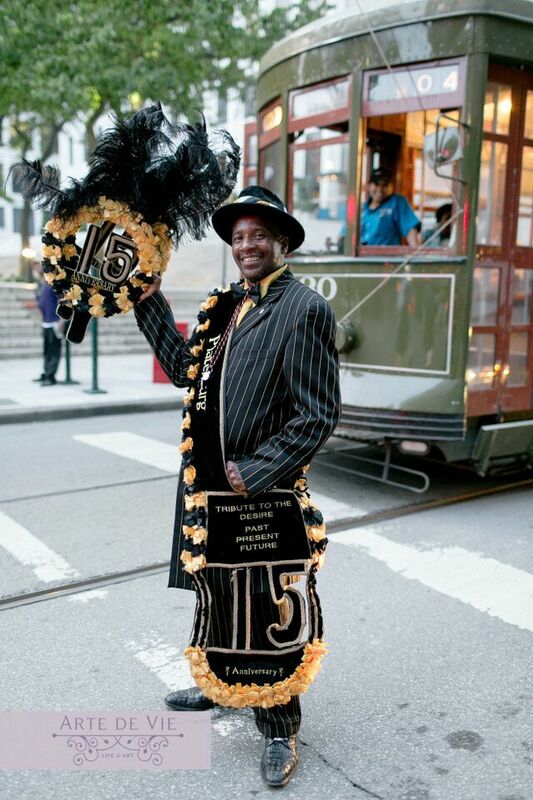 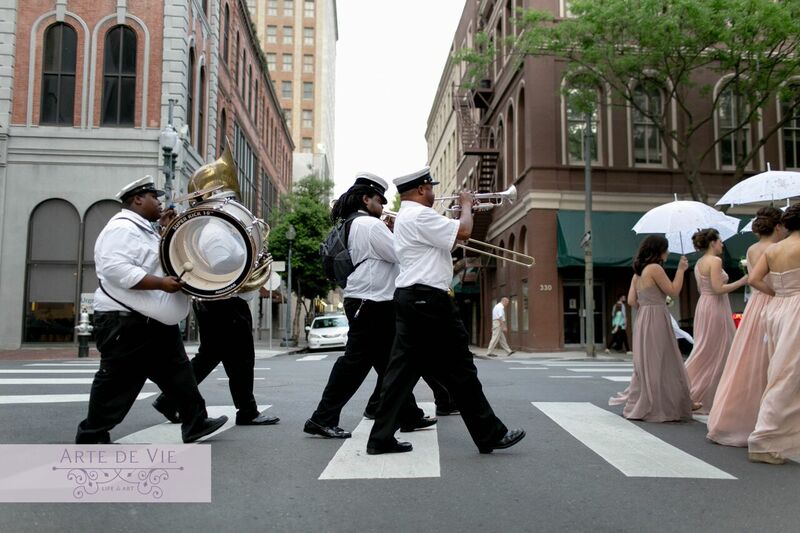 Frenchmen Street Productions had the opportunity to second-line along with the world-renowned Preservation Hall Jazz Band in a recent episode of, “The Runner.” The new reality series made it’s way through New Orleans July 15th. 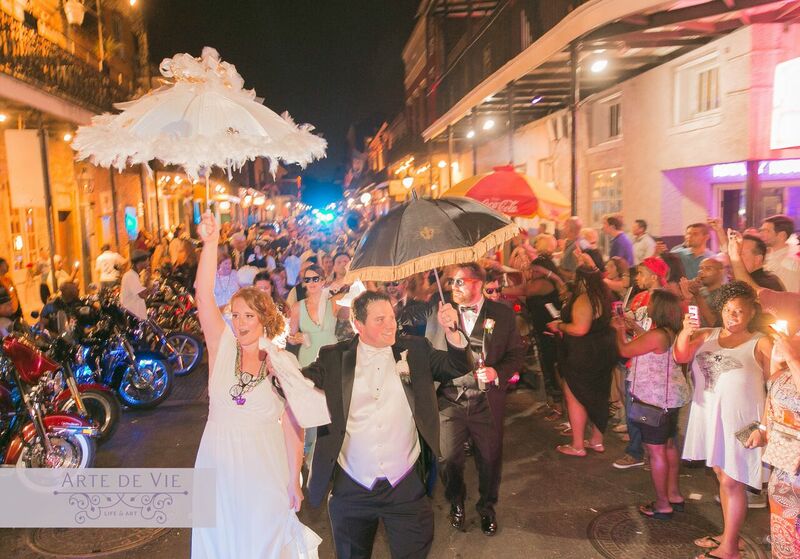 The runner narrowly escaped his chasers by being whisked off into second-line parade, joined by our krewe of skeleton revelers and stilt-walkers. 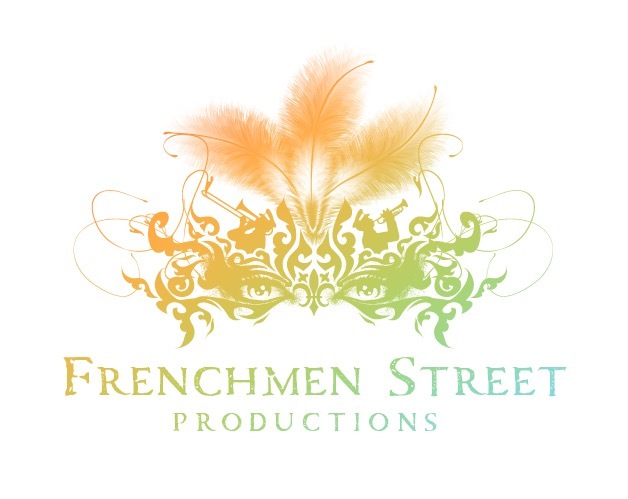 Tune into www.go90.com to see July 16 episode 1. 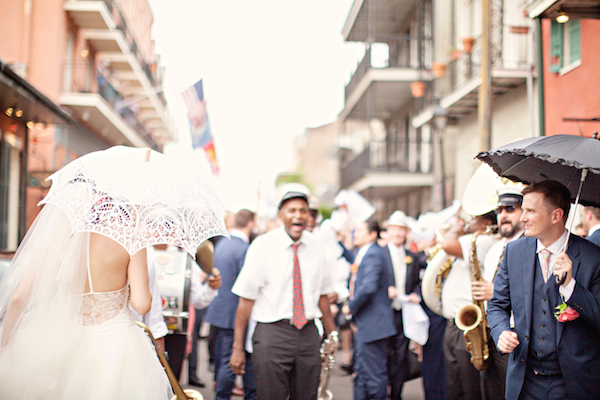 Thanks to Becca Kelly and Tying the Knot Wedding Coordination for sharing these photos by Greer G. Photography of Megan Gilbert’s wedding second-line with Kinfolk Brass Band at The Chicory. 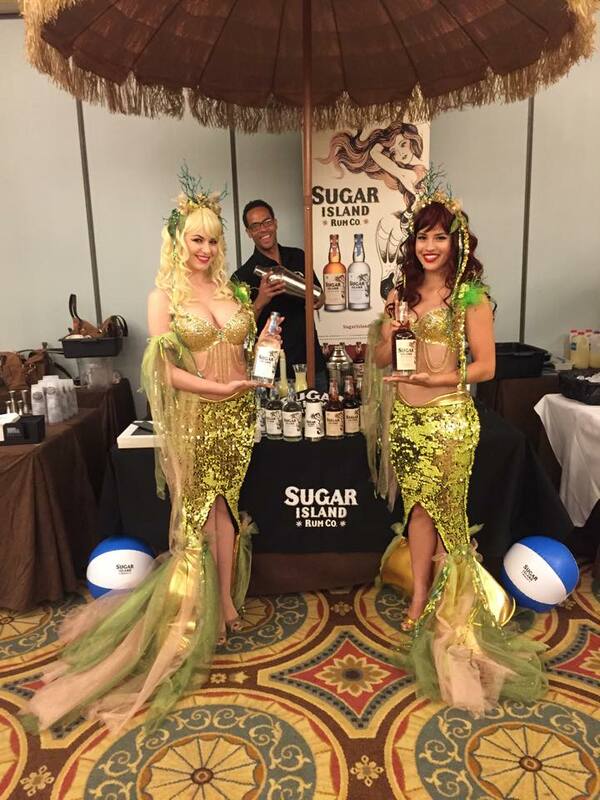 We made a SPASH at Tales of the Cocktail this year with our Sugar Island Rum Mermaids. 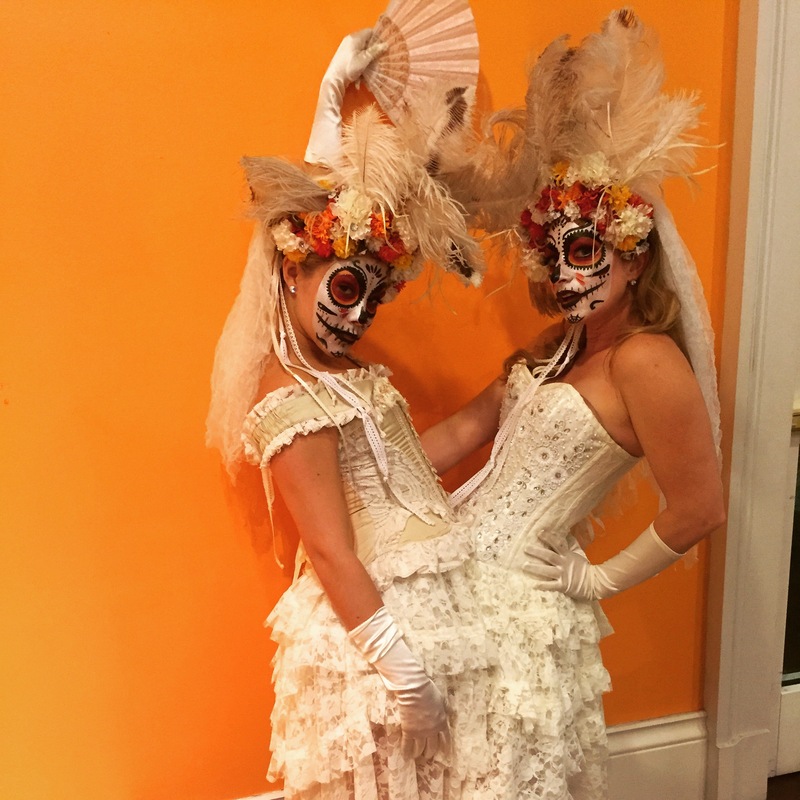 Check out this photo from the happy hour event at The Hotel Monteleone, featuring Coconut and Spiced Rum. 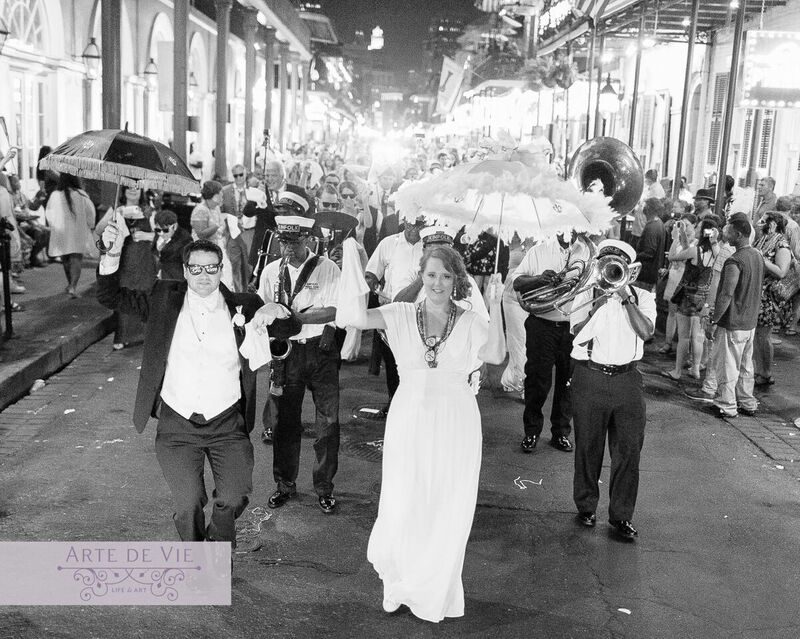 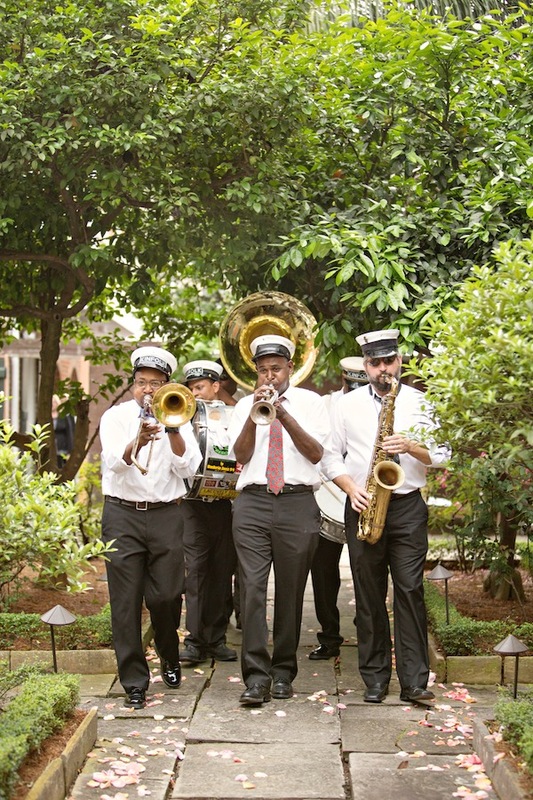 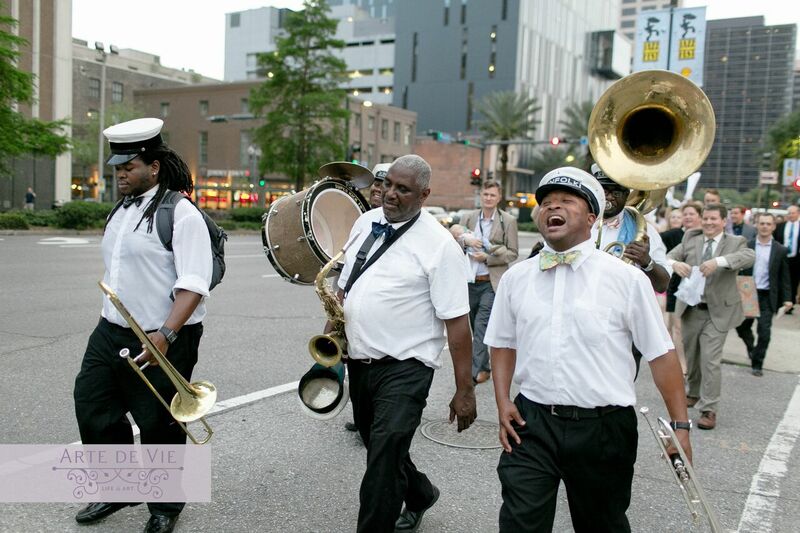 Art De Vie did a fantastic job capturing these second line moments with Kinfolk Brass Band. 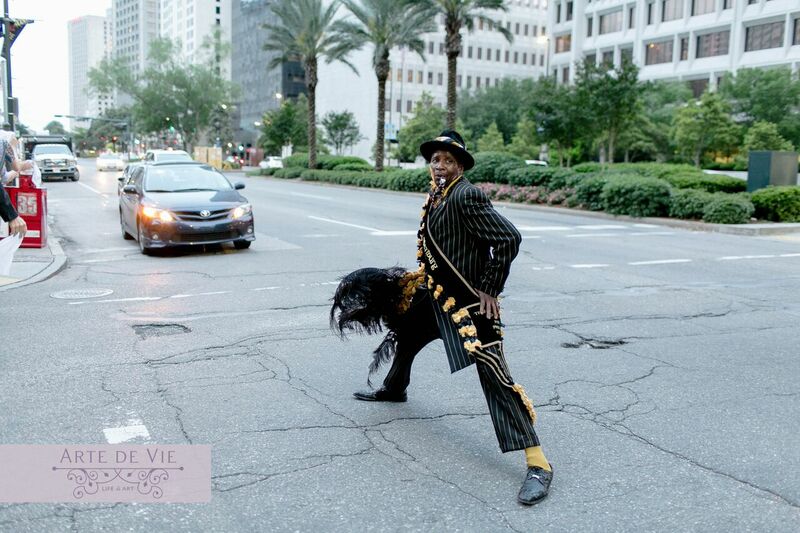 A picture is worth a thousand words! 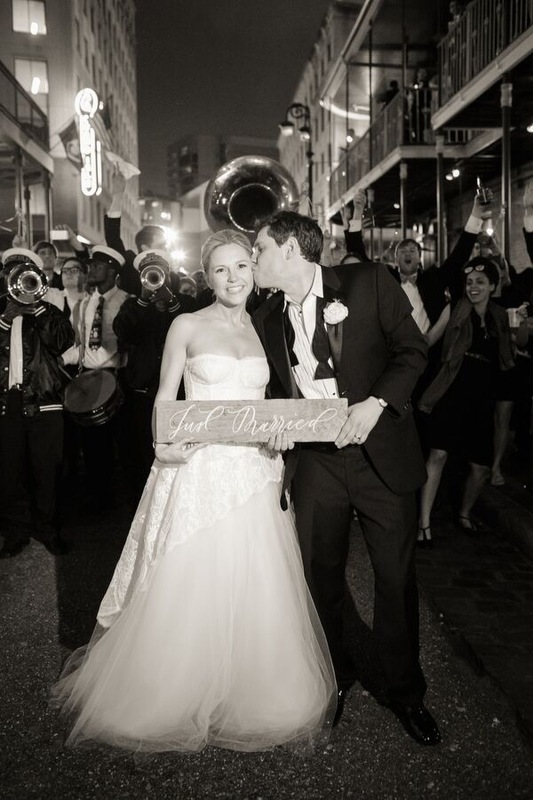 We love hearing feedback from our clients, check our our latest review on theknot.com . 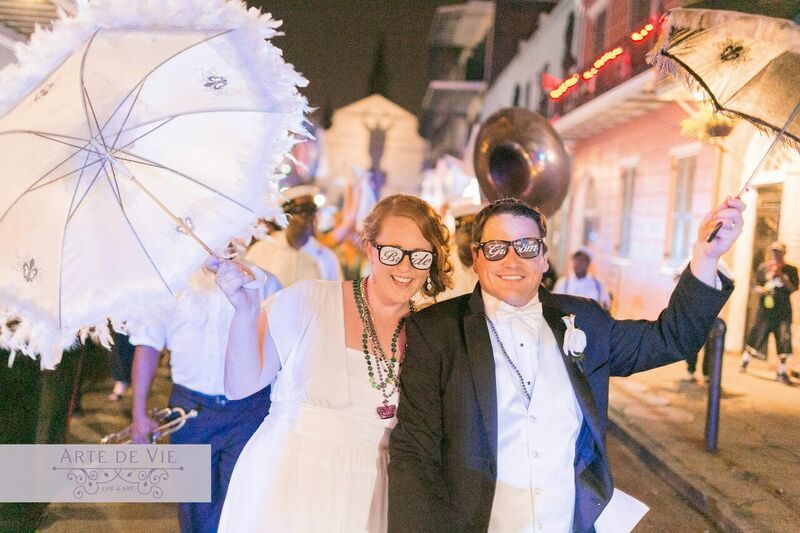 At Frenchmen Street Productions, we’re beyond thrilled by the Supreme Court’s decision to legalize gay marriage, and look forward to celebrating with many more couples. 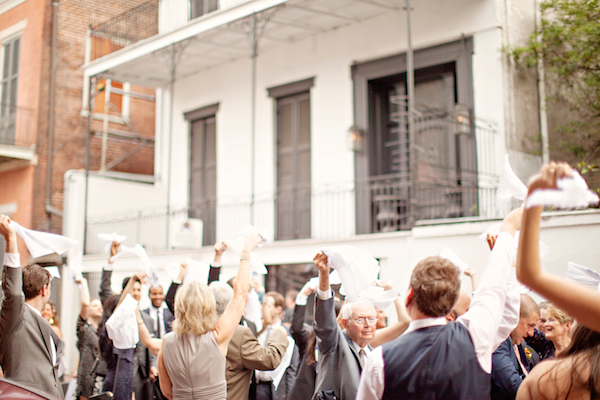 Check out this article encouraging LGBT couples to wed in New Orleans.